Johnny Depp, Geoffrey Rush, Javier Bardem et al. DVD: 124 min., Blu-ray: 129 min., Blu-ray 3D: 129 min. The final adventure begins. 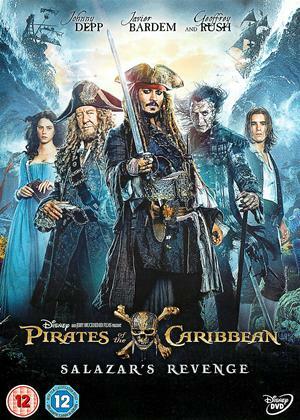 Set sail with Captain Jack Sparrow (Johnny Depp) as deadly ghost sailors, led by the terrifying Captain Salazar (Javier Bardem), escape from the Devil's Triangle bent on killing every pirate at sea - notably Jack - in an epic story packed with humour, suspense and amazing special effects! 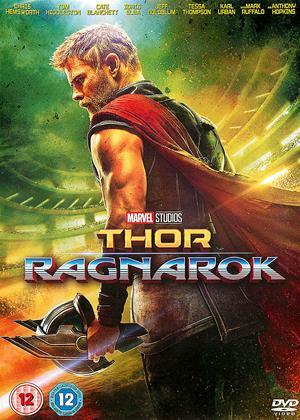 What was the point of making this film, when it has nothing to offer and simply kills off the franchise once and for all! Depp sleepwalks through the film, as if he's got his cheque and doesn't really want to be there. His character has nothing new to add and simply retreads old lines and antics which have by now worn thin! 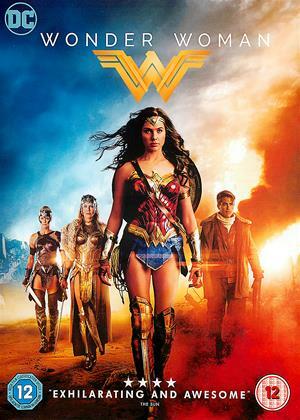 The plot is yet another re-hash of what's gone before, the special effects are not so special, the direction bitty and in general this is quite a boring and irritating film to watch! I found myself constantly falling asleep and had to force myself to stay awake to finish watching it. Not sure if there will be another after this, but if so, they will really need to pull out all the stops, but I think Depp's part has seen the last of its days to be honest! 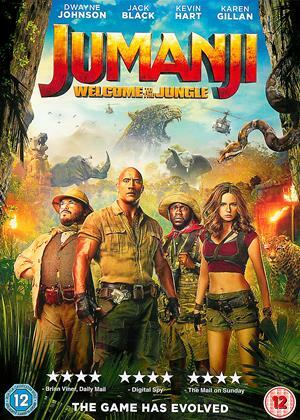 I was wary about seeing this film after being more and more disappointed by the franchise as it's been going on. We were pleasantly surprised and thought it was a complete return to form. 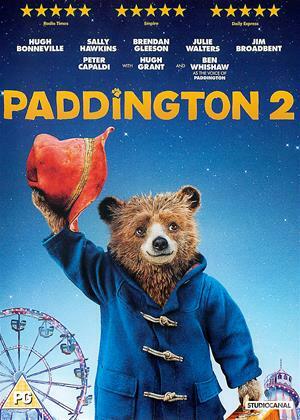 I'd rate it close to the first film with the added benefit of Orlando Bloom only being on the screen for a few minutes. There are some great comedy moments and the film seemed to trot along at an enjoyable pace. The plot was solid and made sense rather than some of the previous ramblings. This was a very pleasant 2 hours of decent family viewing . I'm ready for the next film now which is more than I can say I felt after some of the last offerings. Looked like Johnny Depp phoned in his performance - far too pleased with himself and madly overacting. Amusing in places but a poor end to the series. Missed Keira and Orlando. One of the most disjointed rubbishy films I have ever sat through. No story, hammy acting and hopeless effects. This may have been a film too far. Unlike other franchise series, this one I think has reached the limit of its theme park ride based source material. A few laughs however I was generally underwhelmed. The actual ride was a mildly amusing journey through poorly constructed animatronic figures endless repeating the same mechanical movements in the dark accompanied by a underwhelming soundtrack. That is a good analogy for the movie. 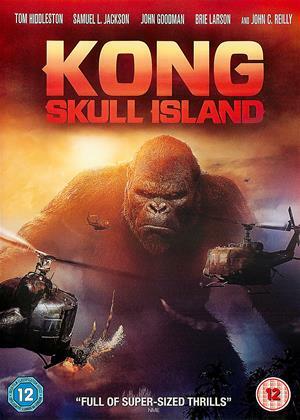 Great family action, as are all the other films in the franchise - typical leave your brain at the door/action filled/plot on top of plot on top of.... sunday afternoon family time fun. Some parts slower than the others in the series, but what the heck Johnny Depp must be struggling now with all the action involved - yet, it seems time has been kinder to him than the other members of the cast... as youthful as ever. All the family laughing and enjoying a movie together for a couple of hours - no ipads, phones or anything in sight so must have been good.... How many more though? the film implied a sequel could be coming so will look out for that one too. This series has evolved (or devolved depending on the way you looks at it) much in the same way of The Pink Panther series. If one recalls in the first Pirates movie, Captain jack was a supporting character, albeit an outstanding one, lending much comic relief to the main character's (Will Turner) journey. Thereafter, it became the Jack Sparrow show and with each movie, more or less became increasingly slapstick and outrageous in its plotline. Much like with Inspector Clouseau, who started off as a support comic relief to David Niven in The Pink Panther and then consequently became the main star, evolving more and more into a caricature of himself with increasingly silly plotlines. So you either dig that evolution (devolution) or you dont. Me....I dug them all in their own way. I really like Captain Jack and still do. Just like Inspector Clouseau, he has become a caricature of himself but they both make me laugh, regardless of the plot and their increasing slapstick. But I enjoyed the story too in this one, In a way, it feels like a good way to end the whole series too but perhaps that might not be the case, depending on how well the DVD sales are (according to Bruckheimer who actually wants to make more). You know what you're in for at the start of the film with an outrageously slapstick action setpiece. I have to admit, it was a bit much for me but Jack Sparrow compensated for that. On the whole its a rollicking action comedy fantasy ride with gorgeous visuals and a nice story to tie up with the first three films but I guess this film is mainly for the fans of Captain Jack Sparrow. But if you tire of the character, or are put off by the increasingly silliness in both plot then this film will not please you! I give this an enjoyable but silly 6.5/10. Wish I had read the reviews before I watched it..totally forgettable ..Depp overacting in this formulaic pointless repeat. I enjoyed it to watch just the once but sadly I think it is the worst one they have done. It just didn't keep me interested in the story . It felt like they just went for comic effect and even that didn't work. I’ve been on this ride before and it’s in disrepair. Marking the fifth helping of the Pirates franchise, Dead Men Tell No Tales, a title doomed to be forgotten and confused with other entries, this saga is no longer interested in developing its characters. You know these characters by now. Even the new ones introduced are carbon copies of the same template. This is no longer an adventure of swashbuckling characters, but a cartoonish ballet of grand special effects. I could sit back and just try to enjoy the ride, but it’s hard to enjoy it when I can clearly see the rust forming on the gears and spokes. Johnny Depp returns yet again to his most notable role of the 21st century, the drunk and staggering Captain Jack Sparrow. He has reached a James Bond status where we know everything about this character from his drink of choice to every muscle twitch of his silly walk. Any development on his character is nothing at all interesting, unless of course you need to hear the riveting tale of how Jack was given his iconic captain hat. Spoilers: Some random pirate gave it to him as an offering. Geoffrey Rush is in the same league as Depp for reprising his role as the cackling and conflicted Captain Barbossa, but there’s more to like about his character’s sinister nature. Even after five movies, it’s hard not to be won over by Rush’s camped up portrayal of a pirate. They are, however, only supporting roles, or at least written as such. The two leads of this story is another bland romantic couple, fitting the roles once filled by Orlando Bloom and Keira Knightley, both of which appear for cameos in this film. When we last left Bloom’s character of Will Turner, he was stuck with a pirate curse. Good thing his son Henry (Brenton Thwaites) is old enough to be on the case to search the seas for a treasure that can cure pirate curses. In his search, he has met many a ghost pirate, but nobody believes him about his encounters. Neither does the lovely Carina (Kaya Scodelario) who is only interested in science. A woman who knows about science in the age of pirates? She’s a witch! Seeing as how both Henry and Carina are looked down upon by society and have a clashing nature of science versus superstition, this could lead to interesting romance. The keyword is “could”. Given how boring this couple is, the movie thankfully makes enough time for Captain Jack and Captain Barbossa trying to find the mystical trident of the seas (or whatever). Chasing them is the vengeful ghost Captain Salazar, played with just as much character and camp by Javier Bardem. I loved everything about Salazar, from his undead hair that seems to be constantly underwater to his ghost ship that can open its bow and take a chomp out of other ships. He’s such a great character, but I wish he had a better motivation for wanting to kill Jack other than just hating pirates. In the line of villains that have a bone to pick with the drunkard of a pirate, Salazar doesn’t seem as high up the list. Salazar certainly presents a big enough threat with his ship of ghost pirates, but how intimidating are they to the audience? This is the fifth Pirates movie and every mortal seems to be under some belief that they can best these ghosts in a sword fight when it is firmly established that these ghosts can not only avoid death, but also not even feel a sword go through them. Captain Jack and Barbossa have dealt with the undead before. Haven’t they figured out ANYTHING that could stop these enemies? There are some entertaining action sequences of ship-to-ship combat and a very amusing scene where Jack escapes death via guillotine. And that’s about all we can expect from the Pirates movies at this point. But is that all there is? More bland romance, more campy villains and more of the simple comedy of Johnny Depp slurring his words? That doesn’t exactly make for a franchise with a healthy life considering how this film digs more into the past of familiar characters and unearths nothing all that interesting. If there truly is some hidden treasure left in the series, it hasn’t been uncovered here. Onto the next sequel, I suppose.